Repeal and delay would be a disaster. Life’s a Mitch and then you die. 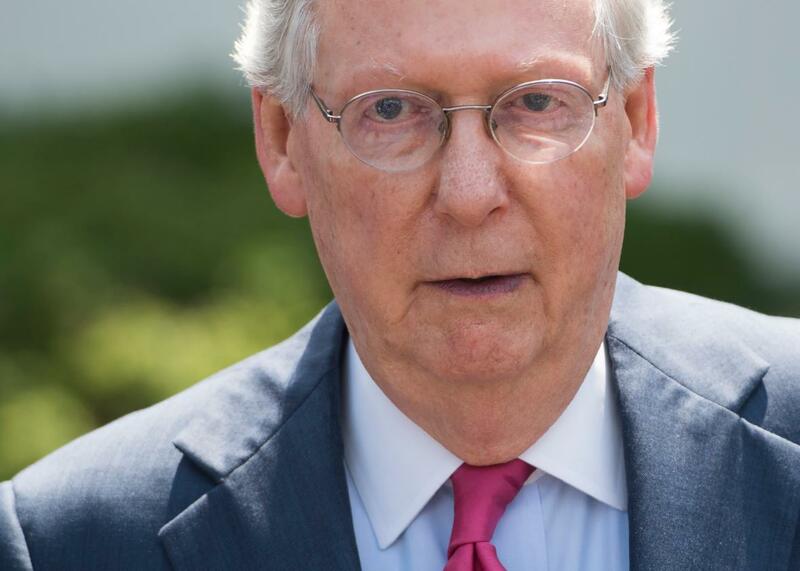 After the Republican health care bill collapsed Monday night beneath the weight of the party’s ideological incoherence, Senate Majority Leader Mitch McConnell announced a plan B. He would revive the bill to simply repeal most of Obamacare that the GOP Congress passed in 2015. Then his caucus could figure out a replacement for the law a few years down the line. It is unclear if that’s still his strategy, since Republicans yet again appear to be franticly negotiating for that elusive grand compromise. But just in case, the Congressional Budget Office has offered up a gentle reminder of why repeal-and-delay is an absolutely horrendous course of action. The big issue? Oh, just that it could cause the health insurance markets to collapse precipitously, leaving millions of Americans uninsured and nobody but Republicans to absorb the blame for any human wreckage. A major part of the problem is that the bill wouldn’t actually repeal all of Obamacare—instead, it eliminates the law’s Medicaid expansion and premium support subsidies, nixes the individual mandate to buy insurance, and rolls back the law’s taxes. But it leaves in place all the regulations about what kinds of coverage insurers have to offer and who they have to sell to. In CBO and JCT’s estimation, under this legislation, about half of the nation’s population would live in areas having no insurer participating in the nongroup market in 2020 because of downward pressure on enrollment and upward pressure on premiums. Meanwhile, moderate and conservative Republicans in Congress would probably still be sitting around arguing with each other about whether cancer patients should be forced to go busking to pay for chemo. Not exactly a good look heading into Election Day.